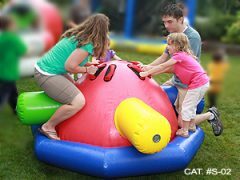 This awe-inspiring Animal Kingdom inflatable combines fun physical activity and learning activities for an educational day of play. 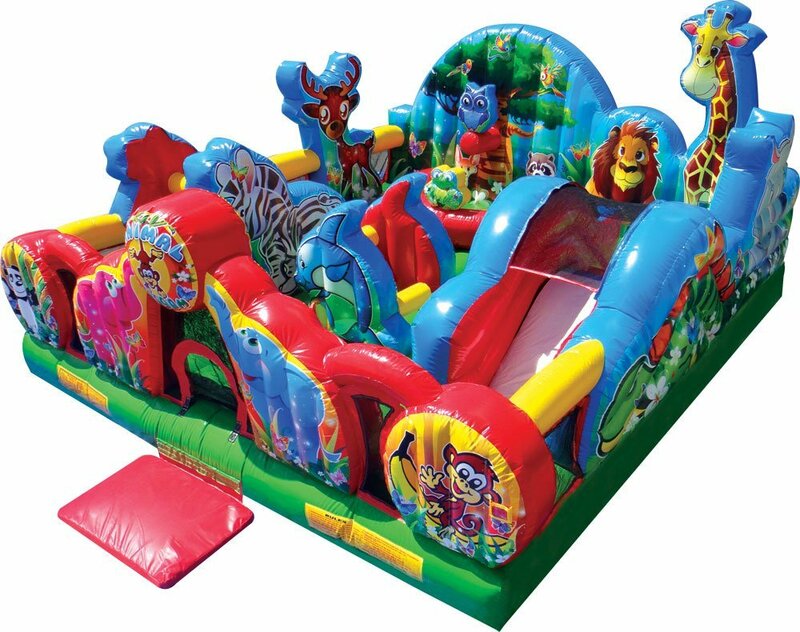 Three-dimensional animals abound in this inflatable play kingdom from zebras and dolphins to lions and a giraffe! Kids can navigate through these fun pop-ups, or take on a boisterous climb and slide. Plenty of new animal friends watch alongside, with a deer looking on wide-eyed, an owl in a learning tree, even a panda and monkey add to the merriment in the Animal Kingdom inflatable play structure. 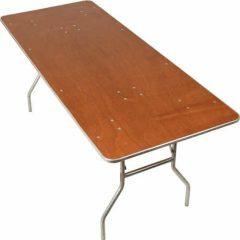 The Animal Kingdom jumper guarantees hours of education entertainment for any toddler, and offers mesh sides for easy viewing of all the fun.